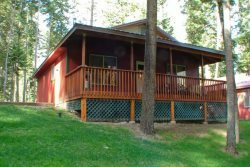 At Wallowa Lake Resort, we want to make sure that your stay is as comfortable as possible. Due to this commitment we are constantly updating our guest services and amenities. Please contact our office for more information.